Welcome to the Staley Farms, Kansas City North, MO homes and real estate portal. 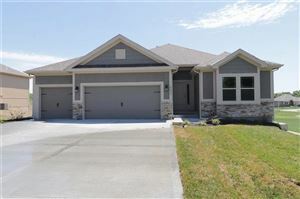 Here you can search every available home for sale in Staley Farms Subdivision. The number of homes changes daily, so be sure to keep coming back right here, to the best site for Staley Farms homes for sale. Feel free to subscribe to the Staley Farms Market Insider for market information, community info, local schools and more! Staley Farms residents enjoy a country club lifestyle year ‘round. The clubhouse is available for rent and includes an adjacent pool, tennis courts, and playground. The Sports and Rec Club is home to state of the art fitness equipment and an indoor basketball court. You also have access to a scenic walking trail and bike path along Shoal Creek Parkway.